Over the years, we’ve seen many different takes on Darth Vader’s armor and design. 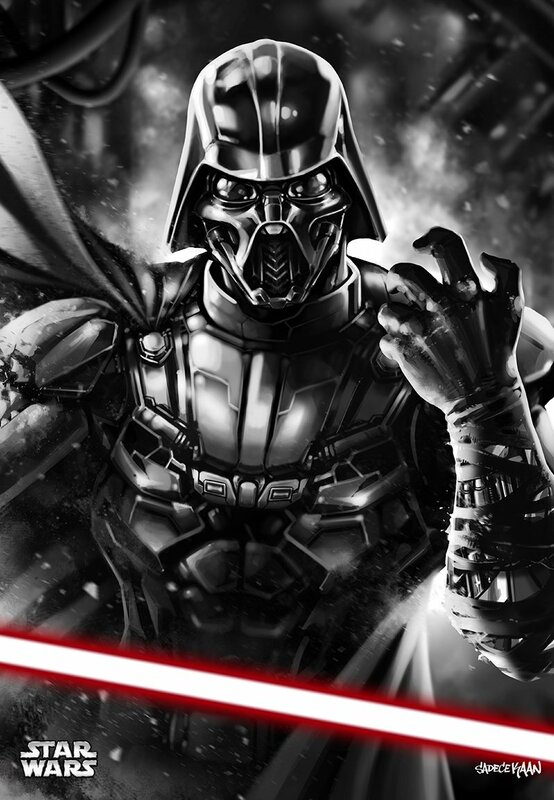 It’s a tough task to actually make Vader look more menacing since he started out so perfect in the first place, but some artists manage to do it – like this image from artist Kaan Sadece. This redesign keeps some of the classic forms, but adds a freshness that makes him the Sith Lord look more dangerous somehow. The design is sleeker, the mask is more like a human skull, and these cues really evoke the feeling of danger. It’s a bit alien and I love how the machine parts are exposed on the arm. Those eyes look pretty angry too. I love to see how artists can interpret such a classic character their own way.